First VDK truck in Denmark. We are very pleased to announce that we delivered this week the first VDK refuse truck ever in Denmark. This first truck was delivered to RenoNorden Roskilde. The body is a VDK ECO 22/IIK with a volume of 10m³ and a CB013 bin lifter. 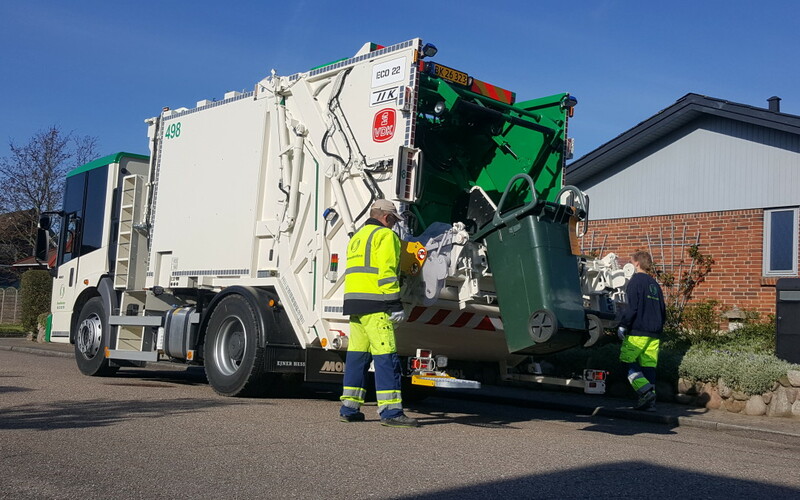 The body has 2 compartments of 50% and on the demand of RenoNorden, we mounted a special flap so that that they can empty the split bins that are used in Roskilde since the 1st of May. The body is mounted on a MERCEDES-BENZ ECONIC-chassis and was delivered by Ejner Hessel. RenoNorden is the Nordic region’s leading private waste collection and transportation company, providing services to over five million people across four countries. As a company that operates in an essential social industry, RenoNorden offers investors a powerful and profitable investment opportunity. We would like to express our gratitude to RenoNorden for showing confidence in our company and our products!! !